After getting Spider-Man back, a lot of Marvel fans want the X-Men to join MCU as well. Check out what Chris Evans, Sebastian Stan, and Anthony Mackie had to say about the mutants. Read our before commenting. Please do not copy our content in whole to other websites. Linkbacks are encouraged. 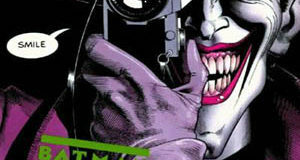 ‘Batman: The Killing Joke’ Set to Premiere at SDCC 2016 Next Month! The upcoming direct-to-video animated adaptation of the famous DC Comics story Batman: The Killing Joke will be making its world premiere during Comic-Con International in San Diego next month. Read our before commenting. Please do not copy our content in whole to other websites. Linkbacks are encouraged. “The Death Cure” Gets Pushed Back — What Does It Mean? Intended to conclude the trilogy that started with First Class and setting up a new one, X-Men: Apocalypse left me desiring a lot more from the ninth film in the franchise. Read our before commenting. Please do not copy our content in whole to other websites. Linkbacks are encouraged. In case you missed, it there’s a campaign to #GiveElsaAGirlfriend in the Frozen sequel. Adding fuel to this awesome flame, Idina Menzel told ET she thinks the campaign is great. Read our before commenting. Please do not copy our content in whole to other websites. Linkbacks are encouraged. As if the Thor film series wasn’t awesome enough, we now have news that two heavy-hitters have joined third installment, Thor: Ragnarok. Read our before commenting. Please do not copy our content in whole to other websites. Linkbacks are encouraged.